2005-01-31 12:36:59: Just about every AIAC record that he knows of minus flux! test. 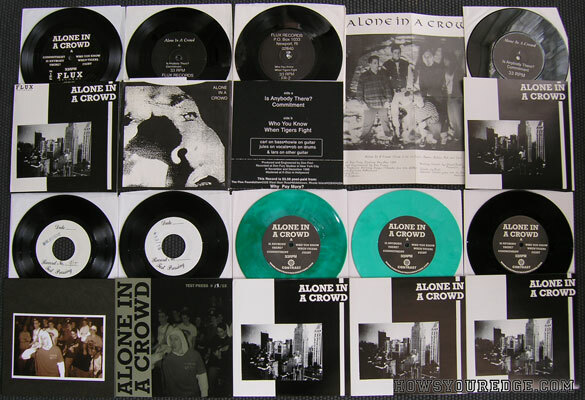 An alleged "3rd press", rejected and accepted contast tests and a green swirl ltd to 30 are all pictured.